I have put about 5 or 6 hours into the Tomb Raider reboot by Eidos and Square Enix, and I can safely say it is — at this point — the best early contender for game of the year. I realize that may be a slight hyperbole, but from the first moments I’ve been enthralled in this tense story of survival. The story itself isn’t anything groundbreaking. There’s a decent level of mystery on the island, and I can tell the story is slowly gearing up to some interesting twists and reveals, but what I find to be so affecting is the growth of Lara herself. She began the game scared, injured, and on the verge of mental and physical breakdown. But a few hours in now, she’s become a cunning, agile survivalist, capable of not only impressive feats of acrobatics and strength, but of harrowing violence in order to get out of this situation alive. I’m impressed by Lara’s growth and characterization, as well as the broader narrative being told here, something I don’t normally say about the games I play, especially big AAA games like Tomb Raider. Everything seem contextually justified and while the number of enemies Lara has to take down throughout the game is starting to tally-up to unrealistic figures, I don’t feel that there’s much of a logical leap needed in order the believe them. Overall, the story may not be surprising or powerful, but so far its been concise and believable, more than I can say for most games. On the gameplay front, Tomb Raider continues to impress. 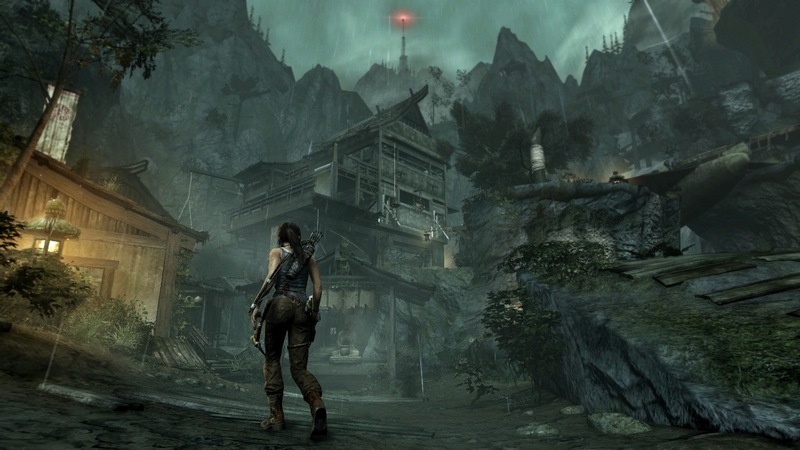 The basic mechanics of Tomb Raider are stealth, third-person shooting, exploration and platforming. The stealth sections, while numerous, do a good job of relaying the proper information in order to get past them. The shooting is surprisingly fun. Sure, there’s a bit of a dissonance with enjoying taking on groups of enemies with well-placed arrows and the emotional impact of the scenarios weighing upon Lara’s conscience, but at the end of the day this is a third-person shooter and a good one at that. 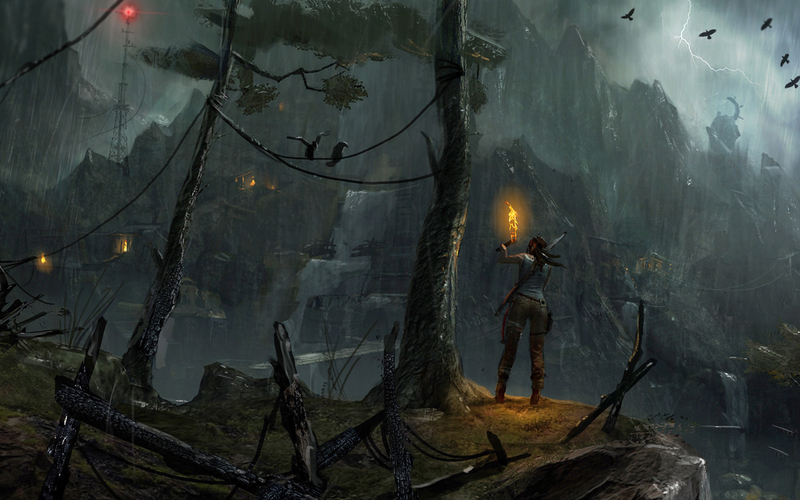 Where Tomb Raider truly shines is the platforming and exploration. The island is broken up into several open hub areas that allow for free-roaming of the surrounding environment. While these levels aren’t entirely open, they are designed in such a way that Lara’s movement feel unfettered as she climbs, leaps, and swings through them. The closest approximation I can think of is something like Metroid Prime or Arkham Asylum; you are given ares in which to explore and find hidden pathways, items, and secrets (of which there are many). These include optional “tombs,” which are usually filled with puzzles and complex traversal sections. The Metroid and Arkham Asylum comparisons also extend to the acquisition of new equipment and upgrades, often unlocking heretofore inaccessible parts of the open hub areas, allowing you to discover more secrets. There are even light RPG elements in the XP, skillpoints, and upgrade systems that further add to the number of unlockables. For me, just while the item hunting and discovery are addictive and rewarding, it’s the platforming and traversal that really grabs me. It’s fun to just climb around these jungle gym-like levels and find different ways to get from point A to B. Overall, I’m enjoying the hell out of Tomb Raider. It’s possible the rest of the game may fall apart sometime down the road, and maybe some of these slowly building climaxes will leave me underwhelmed. But thus far, these is little indication that will happen. The basic gameplay is fun and rewarding; the story is well paced and the characters believable. There may be a slight gap between my feelings of fun and excitement versus the thematic tone of the story, but it’s nominal and has yet to present any issue. I highly recommend picking up the game. Anyway, that’s it for this week. I realize that turned into more of a full review than other Gaming Journal impressions/recaps, but I just had so much to say about the game! I might expand upon these thoughts once I complete the game — especially if something changes my positive impressions thus far. But for now, I’m having a blast. Oh, I also played Etrian Odyssey IV. It’s a pretty deep and complex dungeon crawler RPG, and I’ve found the gameplay mechanics to be addictive. I particularly enjoy the map drawing (instead of filling out a dungeon map in the traditional methods, you draw them on the lower screen of the 3DS). However, the tone of the game, soundtrack, and art design aren’t really my thing. It’s a bit too bright and cheery, but more importantly I find it to be filled with uninspired JRPG tropes. 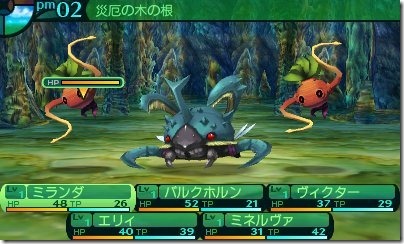 Etrian Odyssey IV is good game, to be sure, but I find myself wishing for a sequel to The Dark Spire instead. Check it out if you need a good dungeon crawler grind. Despite clashing my personal tastes, it’s very good.